In regards to Halo 2 being cut, I think it's harsh to judge a game based on an age old attempt. I'd have liked to see Monopoli doing what he does best. Halo 2 may have some unsatisfactory gameplay moments, but it is by no means the slowest Halo. In fact, it's probably the fastest yet, with plenty of room for optimization. I totally disagree with this point. One of the best things about Pokemon is that it is not even close to over complicated. People will donate for whatever is their favourite, or whatever actually works for their idea. Like, someones favourite Pokemon is Lapras, so they donate for the nickname of Lapras, it's not hard at all. Or they want to name Bellsprout "cocksucker" or Arcanine to be "RalpherZ" it's pretty simple honestly and I don't see why you think it's complex for viewers. And I don't see the downside, like if people don't donate for some specific Pokemon, it's not like you are losing out on donations, just not gaining any there. This would be a logistical nightmare. Viewers need to see what names have already been donated for and how much. The guys on the tracker would have to wade through all 151 choices for every donation. And you would have to stop and ask what to name all 151 pokemon and how to spell it. If it takes 15 seconds to ask each time (it wont, it'll take much longer) then the run will be over 30 minutes longer. [quote]I totally disagree with this point. One of the best things about Pokemon is that it is not even close to over complicated. People will donate for whatever is their favourite, or whatever actually works for their idea. Like, someones favourite Pokemon is Lapras, so they donate for the nickname of Lapras, it's not hard at all. Or they want to name Bellsprout "cocksucker" or Arcanine to be "RalpherZ" it's pretty simple honestly and I don't see why you think it's complex for viewers. And I don't see the downside, like if people don't donate for some specific Pokemon, it's not like you are losing out on donations, just not gaining any there. [/quote] This would be a logistical nightmare. Viewers need to see what names have already been donated for and how much. The guys on the tracker would have to wade through all 151 choices for every donation. And you would have to stop and ask what to name all 151 pokemon and how to spell it. If it takes 15 seconds to ask each time (it wont, it'll take much longer) then the run will be over 30 minutes longer. I just want to throw my support in for 151 and say that if you really want to have an incentive, you can make a favorite pokemon poll. Have people donate for their favorite pokemon similar to how the best final fantasy incentive has been. If time is the limiting factor when considering nicknames, you can limit it to the few pokemon that will actually be used in the run instead of the countless others that will just sit in the PC. I just want to throw my support in for 151 and say that if you really want to have an incentive, you can make a favorite pokemon poll. Have people donate for their favorite pokemon similar to how the best final fantasy incentive has been. If time is the limiting factor when considering nicknames, you can limit it to the few pokemon that will actually be used in the run instead of the countless others that will just sit in the PC. I'm quite disappointed to see that Halo 2 is out. I was really looking forward to seeing that! Monopoli is awesome at speedrunning the game. I'm sure that he would supply some awesome commentary as well. He loves to talk about Halo, and is incredibly knowledgeable when it comes to Halo games - especially Halo 2. I'm quite disappointed to see that Halo 2 is out. I was really looking forward to seeing that! Monopoli is awesome at speedrunning the game. I'm sure that he would supply some awesome commentary as well. He loves to talk about Halo, and is incredibly knowledgeable when it comes to Halo games - especially Halo 2. Monopoli is awesome at speedrunning the game. I'm sure that he would supply some awesome commentary as well. He loves to talk about Halo, and is incredibly knowledgeable when it comes to the Halo games - especially Halo 2. If I could throw my 2 cents in on this, what if we picked a certain number of possible 'best' or 'popular' Pokemon to get names for instead of all of them? Let's say you selected the 3 starters, Pikachu, Mew, Mewtwo, the legendary birds, Eevee, Snorlax, Dragonite. That's 12 naming incentives right there, not counting player name, rival name, and required Pokemon such as Jigglypuff. You'd still have plenty of incentives to donate for, while avoiding the crowding problem and various Pokemon that nobody cares about. I personally just think rejecting the run based on whether or not you can figure out a way to get donation incentives for it is a bit silly, and I think you could definitely work with something like this. Even if you didn't have all those incentives, it would still be worth the time slot because of the sheer entertainment value, and you'd have a lot of people donating either way because a lot of eyes are on the screen, whether for incentives for that game or for future game incentives. Whoops, just noticed mashystrr posted something similar. I don't know if a poll would work or not, but this kind of idea in general is something to think about. [quote="Guest"][quote]I totally disagree with this point. One of the best things about Pokemon is that it is not even close to over complicated. People will donate for whatever is their favourite, or whatever actually works for their idea. Like, someones favourite Pokemon is Lapras, so they donate for the nickname of Lapras, it's not hard at all. Or they want to name Bellsprout "cocksucker" or Arcanine to be "RalpherZ" it's pretty simple honestly and I don't see why you think it's complex for viewers. And I don't see the downside, like if people don't donate for some specific Pokemon, it's not like you are losing out on donations, just not gaining any there. [/quote] This would be a logistical nightmare. Viewers need to see what names have already been donated for and how much. The guys on the tracker would have to wade through all 151 choices for every donation. And you would have to stop and ask what to name all 151 pokemon and how to spell it. If it takes 15 seconds to ask each time (it wont, it'll take much longer) then the run will be over 30 minutes longer. [/quote] If I could throw my 2 cents in on this, what if we picked a certain number of possible 'best' or 'popular' Pokemon to get names for instead of all of them? Let's say you selected the 3 starters, Pikachu, Mew, Mewtwo, the legendary birds, Eevee, Snorlax, Dragonite. That's 12 naming incentives right there, not counting player name, rival name, and required Pokemon such as Jigglypuff. You'd still have plenty of incentives to donate for, while avoiding the crowding problem and various Pokemon that nobody cares about. I personally just think rejecting the run based on whether or not you can figure out a way to get donation incentives for it is a bit silly, and I think you could definitely work with something like this. Even if you didn't have all those incentives, it would still be worth the time slot because of the sheer entertainment value, and you'd have a lot of people donating either way because a lot of eyes are on the screen, whether for incentives for that game or for future game incentives. Whoops, just noticed mashystrr posted something similar. I don't know if a poll would work or not, but this kind of idea in general is something to think about. The point of doing a 151 pokemon run would be that it would be more interesting to a lot of people I think. Pokemon heartgold any% glitchless is just playing through the game as anyone does casually, just using smart tactics to go fast, but a 151 pokemon run is something that would really catch people attention as it is something a lot of people don't even realise is possible and includes many interesting methods of obtaining pokemon. Siglemic is only the world record holder in 70 star and 120 star. He can't even do 1 or 0 star (as far as I am aware) and he isn't even close to 16 star world record. Saying "If there was someone equal to or better than Sig" is pretty ignorant because SM64 isn't just about the 2 categories that he runs. Yes, Siglemic is best at them categories, but that doesn't mean he is necessarily best at the game. [quote="mikwuyma"] Paradox Karl: That would make 151's donation incentives more focused, but then I have to ask, what would the point of doing a 151 run would be if we're only taking donation incentives for those pokemon? SM64: Other people have gone over this, but people do notice if it's not Siglemic running SM64, and he is the record holder. If there was someone equal to or better than Sig, then that would shut people up (hopefully), but unfortunately said person doesn't exist. [/quote] The point of doing a 151 pokemon run would be that it would be more interesting to a lot of people I think. Pokemon heartgold any% glitchless is just playing through the game as anyone does casually, just using smart tactics to go fast, but a 151 pokemon run is something that would really catch people attention as it is something a lot of people don't even realise is possible and includes many interesting methods of obtaining pokemon. Siglemic is only the world record holder in 70 star and 120 star. He can't even do 1 or 0 star (as far as I am aware) and he isn't even close to 16 star world record. Saying "If there was someone equal to or better than Sig" is pretty ignorant because SM64 isn't just about the 2 categories that he runs. Yes, Siglemic is best at them categories, but that doesn't mean he is necessarily best at the game. 3) I did a rough count and it seems like werster names something like 80-90 pokemon over the run. if it takes him 10 seconds per name (and in my opinion that's more than it will take) that's at most 15 minutes added. With the trading card incentive I could see this pulling in more than enough to be worth that amount of time. All that said, I don't really care if it's added back in since I prefer Werster's normal streams over his marathon runs. EDIT: I'd also like to confirm what karl is saying that Sig is only the best at openthecannon% and getridoftheannoyingstairsmusic%. He's not that great at any% and outdated-any%. He's also not great at Individual Star runs but nobody really cares about those anymore. 2 things regarding the pokemon 151 thing: 1) Writing down dames before hand would mean closing donations early and taking the time to do that. not sure that's worth the effort. 2) As long as werster tells someone with the tracker up "I'm trying to catch this pokemon" all they have to do is refresh and control+F the pokemon's name to see what's winning. they'll have the name ready by the time werster can type it in. 3) I did a rough count and it seems like werster names something like 80-90 pokemon over the run. if it takes him 10 seconds per name (and in my opinion that's more than it will take) that's at most 15 minutes added. With the trading card incentive I could see this pulling in more than enough to be worth that amount of time. All that said, I don't really care if it's added back in since I prefer Werster's normal streams over his marathon runs. EDIT: I'd also like to confirm what karl is saying that Sig is only the best at openthecannon% and getridoftheannoyingstairsmusic%. He's not that great at any% and outdated-any%. He's also not great at Individual Star runs but nobody really cares about those anymore. I play games, wanna fight about it? I'd like to point out mikwuyuma that in all entirety, your reasons for my cut are invalid. Maybe Time Crisis is not as strong a watch as you think, but when round one was on, there were people interested, so just saying "you" think it wouldn't be that good a watch was NOT a good reason for me. Also, regarding a CRT, every T.V can be calibrated perfectly with the Guncon in game settings and no t.v can really change that, your reason is invalid. Be it as it may, I'm still cut.. but I won't just accept defeat, I've worked too hard to not let one of my biggest goals just fade away. So instead, I'm going to prove you wrong by bringing a variety of speedrunners that will vouch on my behalf that a "TIME!" Crisis game BELONGS at AGDQ to be given a chance. Every one of them I've done deserve a chance, but I'll stick to convincing you TC3 deserves to be there. CHALLENGE ACCEPTED. 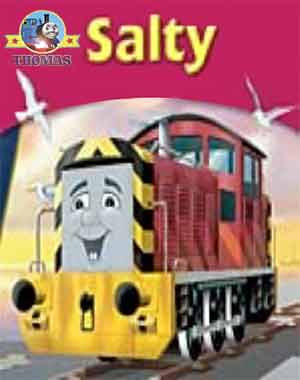 Salty train is starting to pick up steam. I feel that a time crisis game would fit the environment and mindset of SGDQ better than AGDQ, personally. [quote="Vega4993"]I'd like to point out mikwuyuma that in all entirety, your reasons for my cut are invalid. Maybe Time Crisis is not as strong a watch as you think, but when round one was on, there were people interested, so just saying "you" think it wouldn't be that good a watch was NOT a good reason for me. Also, regarding a CRT, every T.V can be calibrated perfectly with the Guncon in game settings and no t.v can really change that, your reason is invalid. Be it as it may, I'm still cut.. but I won't just accept defeat, I've worked too hard to not let one of my biggest goals just fade away. So instead, I'm going to prove you wrong by bringing a variety of speedrunners that will vouch on my behalf that a "TIME!" Crisis game BELONGS at AGDQ to be given a chance. Every one of them I've done deserve a chance, but I'll stick to convincing you TC3 deserves to be there. CHALLENGE ACCEPTED. [/quote] I feel that a time crisis game would fit the environment and mindset of SGDQ better than AGDQ, personally. There was a difference between SGDQ and AGDQ besides time of year? [quote="MURPHAGATOR! "]I feel that a time crisis game would fit the environment and mindset of SGDQ better than AGDQ, personally. [/quote] There was a difference between SGDQ and AGDQ besides time of year? Hi Mike, I think more consideration should be given to Halo 2. I don't think it's fair to cut the game because the Halo franchise has had "mixed reactions" in the past. For starters, Cody (who did Halo: CE and Halo: Reach) wasn't the most qualified runner; not only was he lacking in skill, but he was lacking in commentary. Mr. Monopoli has spent countless hours practicing and is without a doubt the best runner in the H2 scene. He would most assuredly provide great commentary and even better game play. Furthermore, CE and Reach were run in 2011 and 2012; AGDQ has grown tremendously since then and to think that the large influx of new viewers won't like the run because a fraction of viewers 2-3 years ago didn't like the runs doesn't make much sense to me. Halo 2, arguably the most famous FPS on the Xbox franchise, has never been done at a marathon. With so much new interest in speedrunning I feel that you are potentially missing out on a very large viewer base. Your other concern about the time of the game seems to be ill placed to me. The game can be completed on Legendary in under 2:15:00. I don't think that 10-15 minutes to get under the 2 hour mark should be such a big deal, especially when Half-Life 2 has over 40 minutes of cutscenes. I also understand your concerns about Halo 2 being run on easy, but I think you are making a vacuous argument. You reference a game (Uncharted 2) that was done in 2011, but once again, I don't think this makes much sense simply due to the growth of the marathon. It's impossible to predict reactions based upon similar games that were run so long ago. Also, BioShock and the Star Wars SNES game will be run on easy difficulty and both are very good runs to watch. I appreciate that cutting games is not the easiest task and I have the utmost respect for you. I only ask that Halo 2 be judged fairly in relation to the FPS games that made the cut. Hi Mike, I think more consideration should be given to Halo 2. I don't think it's fair to cut the game because the Halo franchise has had "mixed reactions" in the past. For starters, Cody (who did Halo: CE and Halo: Reach) wasn't the most qualified runner; not only was he lacking in skill, but he was lacking in commentary. Mr. Monopoli has spent countless hours practicing and is without a doubt the best runner in the H2 scene. He would most assuredly provide great commentary and even better game play. Furthermore, CE and Reach were run in 2011 and 2012; AGDQ has grown tremendously since then and to think that the large influx of new viewers won't like the run because a fraction of viewers 2-3 years ago didn't like the runs doesn't make much sense to me. Halo 2, arguably the most famous FPS on the Xbox franchise, has never been done at a marathon. With so much new interest in speedrunning I feel that you are potentially missing out on a very large viewer base. Your other concern about the time of the game seems to be ill placed to me. The game can be completed on Legendary in under 2:15:00. I don't think that 10-15 minutes to get under the 2 hour mark should be such a big deal, especially when Half-Life 2 has over 40 minutes of cutscenes. I also understand your concerns about Halo 2 being run on easy, but I think you are making a vacuous argument. You reference a game (Uncharted 2) that was done in 2011, but once again, I don't think this makes much sense simply due to the growth of the marathon. It's impossible to predict reactions based upon similar games that were run so long ago. Also, BioShock and the Star Wars SNES game will be run on easy difficulty and both are very good runs to watch. I appreciate that cutting games is not the easiest task and I have the utmost respect for you. I only ask that Halo 2 be judged fairly in relation to the FPS games that made the cut. Is it confirmed that it will be on the schedule? In other words, can I start serious promotion of it to the AoE2 community? Don't want to build up hype if it might get cut anyway. When do I have to get a final list of possible scenarios? There are a few that simply don't have tricks to allow them to be done in less than 20 minutes, (Wait for a wonder to tick down! Oh boy!) and I wouldn't want one of those to win, and then say "takes too long, I'll go with second place." Lastly, thank you so much for taking so much of your personal time to organize this. I've never run anything this big, but I know events like this can be a pain to plan, and ultimately, you can't make everyone happy. Thanks, Mike, for organizing, taking the heat of disgruntled gamers, and just plain pouring your heart, soul, and time into making this work. I have a couple of questions, as my Age of Empires 2 run has been cut down from campaign to scenario: Is it confirmed that it will be on the schedule? In other words, can I start serious promotion of it to the AoE2 community? Don't want to build up hype if it might get cut anyway. When do I have to get a final list of possible scenarios? There are a few that simply don't have tricks to allow them to be done in less than 20 minutes, (Wait for a wonder to tick down! Oh boy!) and I wouldn't want one of those to win, and then say "takes too long, I'll go with second place." Finally, Age of Empires 2 has an expansion pack that changes the fastest way to do some of the original scenarios. Is it acceptable to declare outright that I will use the expansion pack regardless of the scenario? (It actually makes a couple scenarios take LONGER because of improved enemy technology.) Lastly, thank you so much for taking so much of your personal time to organize this. I've never run anything this big, but I know events like this can be a pain to plan, and ultimately, you can't make everyone happy. Thanks, Mike, for organizing, taking the heat of disgruntled gamers, and just plain pouring your heart, soul, and time into making this work. Twilight, maybe OoT, Twilight is just boring and OoT is riduclously played out whereas Wind Waker has recent new tech with the boomerang skip, I mean what else are we going to see with OoT? We've seen the 20 minute thing, on the Ique, we've seen the insanely glitched run with the bottle and the fish, we saw 100% last AGDQ, hell there's a zelda Marathon going on RIGHT NOW that had 2 OoT categories. I just find it odd, Mike talks on how every hour is precious yet an entire day is going to be dedicated to a single game series. Also chiming in on the Halo 2 stuff, the reason for cutting seem like you're quite misinformed, same with opting for new game for MGR over new game+. [quote="TheMG2"][quote="Onin"][quote="AlteisenRiese"]18 hours of Zelda seems ridiculously excessive. [/quote] As much as Zelda is a staple of the community, the majority of popular SRL streams are Zelda games, and it's only about 10% of the whole marathon, it does seem a little bit excessive. [/quote] I feel that specifying which Zelda games to cut rather than making generalizations would be more useful and come off less salty. [/quote] Twilight, maybe OoT, Twilight is just boring and OoT is riduclously played out whereas Wind Waker has recent new tech with the boomerang skip, I mean what else are we going to see with OoT? We've seen the 20 minute thing, on the Ique, we've seen the insanely glitched run with the bottle and the fish, we saw 100% last AGDQ, hell there's a zelda Marathon going on RIGHT NOW that had 2 OoT categories. I just find it odd, Mike talks on how every hour is precious yet an entire day is going to be dedicated to a single game series. Also chiming in on the Halo 2 stuff, the reason for cutting seem like you're quite misinformed, same with opting for new game for MGR over new game+. I completely disagree about Twilight Princess. I think Twilight Princess is really cool. I think something important to note about the Pokemon donation incentives is that there's a good chunk of donors don't necessarily have something specific in mind they want to donate for - that's why we keep getting stuff like Runner's Choice. They go to the donate page, see the box asking what they want to put their donation toward, and that's probably where they'll try to pick something. It was hard to find stuff in that box during SGDQ, and I can't imagine how annoying it would be if there were a hundred different Pokemon incentives. So I'm not really convinced that "oh they'll just pick whatever their favorite Pokemon is" is a great argument. Also consider that it would take up so much space it would make it harder to find incentives for other games. Also I haven't played Halo 2 so take this with a grain of salt but I kinda agree that it'd be better than HL2; HL2 has a lot of amazing glitches, but it's also filled to the brim with cutscenes, and no matter how entertaining the runner is, the cutscenes are boring and a huge drag on the run. I think something important to note about the Pokemon donation incentives is that there's a good chunk of donors don't necessarily have something specific in mind they want to donate for - that's why we keep getting stuff like Runner's Choice. They go to the donate page, see the box asking what they want to put their donation toward, and that's probably where they'll try to pick something. It was hard to find stuff in that box during SGDQ, and I can't imagine how annoying it would be if there were a hundred different Pokemon incentives. So I'm not really convinced that "oh they'll just pick whatever their favorite Pokemon is" is a great argument. Also consider that it would take up so much space it would make it harder to find incentives for other games. Also I haven't played Halo 2 so take this with a grain of salt but I kinda agree that it'd be better than HL2; HL2 has a lot of amazing glitches, but it's also filled to the brim with cutscenes, and no matter how entertaining the runner is, the cutscenes are boring and a huge drag on the run. I don't know if it would actually cause any donations to come in, but I think this sort of TAS would at least go over well with the people watching the maraton. [quote="dwangoAC"]Thanks to Corrodius I now have an N64 to play with, so I'll see if I can get the Super Mario 64 0-star TAS going as soon as I hunt down a copy of that game. I don't know if SM64 0-star is the right game to put in the 30 minute TAS block as there might be even stronger runs worth showing but I figured I'd mention it. A.C. ******[/quote] I have a suggestion for the TAS block. I'm not sure how viable these would be for setup purposes, but have you considered adding some of the more humorous game options? I'm sure the viewing audience would get a kick out of seeing some ridiculous things like you can get with Family Feud trying to figure out what word you're spelling: [url]http://www.youtube.com/watch?v=BkuP7IvxDGo[/url] I don't know if it would actually cause any donations to come in, but I think this sort of TAS would at least go over well with the people watching the maraton. In addition to this there's better donation incentives to be had for Boshy and if you wanted to have the creator on a call I'm sure Solgryn would volunteer. I'll admit that I'm biased since I run Boshy myself but I'm genuinely suprised over the decision to cut it in favor of IWBTG. It's not even close to meme-fest you're making it out to be Mike, the bigger appeal to the run is rather: 1. More fast-paced and varied 2. More retro game hints and references (better music) 3. Better graphics, visually it's much more pleasent to the eye In addition to this there's better donation incentives to be had for Boshy and if you wanted to have the creator on a call I'm sure Solgryn would volunteer. Taoto: The thing about the TAS block is that we're showing TASes that can work on consoles. That's why Gradius is one of the choices - it's been confirmed to sync on a NES. Right now Family Feud hasn't been confirmed. Plus I wonder how many people actually own a copy of it? Fair enough! I just used Family Feud as an example because it was the first one I could think of. I didn't realize the console verified list was so limited, so please excuse my ignorance. I'm really salty that Skyrim got cu... wait what, it's a bonus game!? ...I love you guys. I love you guys so much. I'm really salty that Skyrim got cu... wait what, it's a bonus game!? ...I love you guys. I love you guys so much. [quote="mikwuyma"] Paradox Karl: That would make 151's donation incentives more focused, but then I have to ask, what would the point of doing a 151 run would be if we're only taking donation incentives for those pokemon? [/quote] How is this different from any other game on the list, though? The list of possible donation incentives is large for many games, but that doesn't mean you /have/ to include every option for it to be a suitable marathon candidate. 151's merit doesn't come solely from having a lot of Pokemon names to decide on.